The iKeepSafe program seeks to help educators and parents identify EdTech tools and services that protect student data privacy. Securly, Inc. – the world's leading cloud-based provider of Internet security for K-12 schools – today announced their partnership with iKeepSafe - an organization at the forefront of online student privacy initiatives. 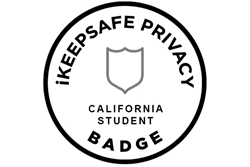 iKeepSafe has awarded Securly the California Privacy Badge. Securly is the first web filtering company to receive this distinction. iKeepSafe's California Privacy Badge is the first independent assessment program specifically tailored to emerging student data privacy legislation, including the Student Online Personal Information Protection Act (SOPIPA) among others. In order to achieve this badge, companies must meet all requirements outlined in primary federal and California laws. This program seeks to help educators and parents in the state of California identify edtech tools and services that protect student data privacy. Much controversy surrounds cloud-based services and data privacy; however, this certification confirms Securly’s promise to protect student data. "We congratulate Securly on successfully completing a careful privacy review by iKeepSafe," said Marsali Hancock, president and CEO of iKeepSafe. "In the past few years, a large amount of legislation has emerged protecting and governing student data. By receiving the iKeepSafe privacy badge, Securly has taken an essential step in helping educators navigate this new terrain and keep student information safe."